A Girl and Her Scout: Fall? Is that you? It has been chilly around here the past couple of days. Don't know that that equals fall, but it definitely makes me want to bundle up a bit more! 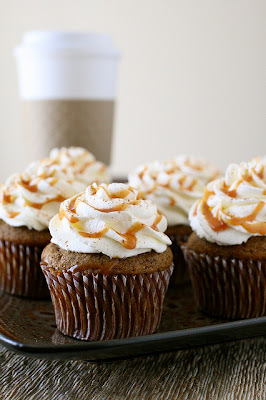 It also makes me want to bake these delicious looking Pumpkin Spice Latte Cupcakes found via Annie's Eats. YUMMMMM!